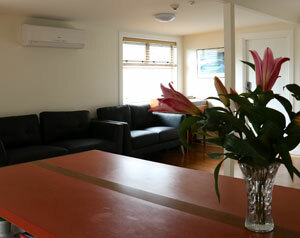 We pride ourselves of providing friendly, comfortable accommodation and make it more affordable as well. We encourage our guests to get out and experience all the wonderful sights and experiences that Oxford has to offer. Our accommodation is clean and convenient and we aim to provide each guest with a unique and enjoyable stay. 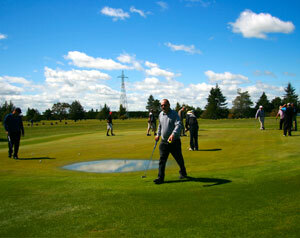 We’re a scenic 54km drive from the airport and Christchurch and 33km fromRangiora. Oxford Queenette Backpackers is a convenient stop on Route 72 or a destination of its own, with interesting shops, a postcard pretty 18-hole golf course, several rivers and horse riding outfits, and numerous walks, day hikes and overnight tramps for all levels of fitness. We are also a great base to enjoy day trips to Castle Hill, Cave Stream, the ski-fields in winter, and even Arthur’s Pass. Bookings can be cancelled up to 24-hours before the day of arrival at no charge. Thereafter a cancellation fee, amounting to the first night of your stay, is charged. Check-in is between 2pm and 8pm. Late check-in might be allowed by arrangement. Check out is by 10am. We might be able to allow an extra hour for check-out depending on room demand. Please ask beforehand. Do you offer special rates for long-term stays of a week or more? Yes, we do! Contact us to ask abut long-term rates. Yes! All the beds are made-up with fresh sheets, duvet covers and pillows. Do you have access and facilities for people in wheelchairs? We’ve got a wheelchair access ramp from the parking area behind the building and a disability-friendly shower and toilet. We offer free WiFi, self-help laundry (coin operated), communal kitchen, indoor and outdoor lounge and eating areas, free on-site parking, kettle and hair dryers shared for each room, information about local activities, and luggage storage for guests. Free tea and coffee in the kitchen and a book exchange and TV in the lounge. Owner-operators Ying and Bin have lived in Oxford more than 13 years. They run the local dairy or convenience store. They have a wealth of local experience and knowledge to share with guests – and they look forward to welcoming you to Oxford Queenette Backpackers. Kate, a local Oxford lady, helps run the dairy shop in the front of the Oxford Queenette Backpackers, She’s friendly and helpful – and you’re likely to see her helping out at the Backpackers too from time to time. All Oxford Queenette Backpackers’ staffs are friendly and approachable, and at your service, to ensure you enjoy all aspects of your stay. We can provide information on things to do and places to go to ensure you get the most out of your stay in Oxford.